Can an ex-Olympian run fast enough to protect the daughter of a modern-day pirate? Zack Tyndale was destined to win gold in the 2012 Olympics, but he tripped and shattered his own dreams. Running from his controlling father and the sympathy in everyone's eyes, he buys an island in the Caribbean where he can live blissfully alone.Madeline Panetto's graduation present is a trip sailing around the Caribbean on her father's yacht. 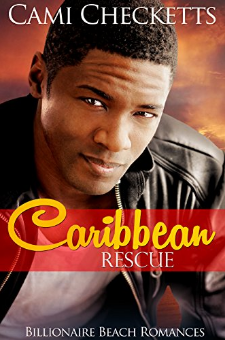 Unfortunately, her father is a pirate, and when there is an uprising on his ship, she escapes and crash-lands on Zack's island.Can these two find refuge from the pirates and with each other?Don't miss the other Billionaire Beach Romances:Caribbean RescueCozumel EscapeCancun GetawayTrusting the BillionaireHow to Kiss a Billionaire Onboard for LoveShadows in the Curtain Enjoy these top-rated contemporary romance books FREE as part of your Kindle Unlimited Prime Subscription. You can read the ebooks on your Amazon Kindle Fire, on a computer via Kindle Cloud Reader or on any smartphone or tablet with the free Kindle reading app.The Billionaire Bride Pact Romance Series is featured in a number of Kindle Unlimited categories, including: romance, contemporary romance, clean romance, sweet romance, new adult romance, new romance, best sellers fiction, romance kindle unlimited books, best contemporary fiction romance novel, new books.Thank you for reading!